From Wikipedia, the free encyclopedia. 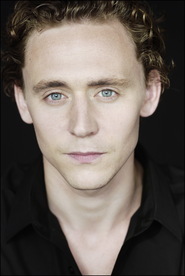 Thomas William "Tom" Hiddleston (born 9 February 1981) is an English actor. He is perhaps best known for playing Loki in the 2011 action movie Thor. Description above from the Wikipedia article Tom Hiddleston, licensed under CC-BY-SA, full list of contributors on Wikipedia.